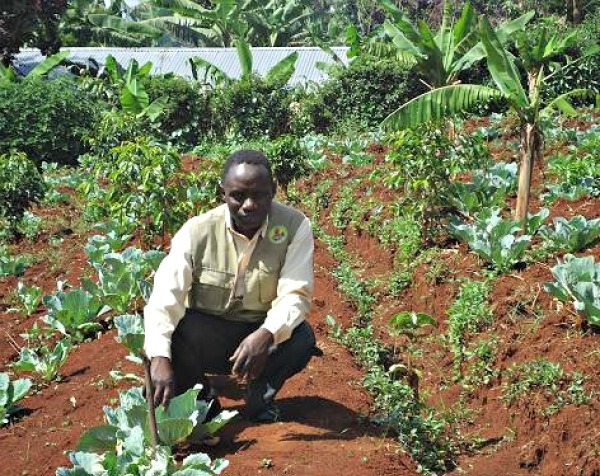 Hosea S. Katende is the Training Coordinator for Grameen Foundation’s Community Knowledge Worker (CKW) initiative. We have included an excerpt of this blog post below followed by a link to the full post on the Applab blog. A farming household in rural Uganda. Resources, both human and financial, are being committed to reaching the bottom-of-the-pyramid communities. To contribute to this cause, Grameen Foundation’s AppLab Uganda came up with the Community Knowledge Worker initiative. An information and communications technology-driven model to accelerate knowledge and information uptake by rural farmers as part of its mission to reach out to the poor, especially the poorest, the CKW project builds a network of peer-nominated farmer leaders across Uganda who are trained to use mobile phones to share agricultural information with smallholder farmers living on less than $2 a day. This initiative demonstrates the power of the mobile phone in the agricultural space, leading to such benefits as improvement of food security and incomes for rural population (see Grameen’s model of business in a box). Funders of initiatives such as the CKW project usually set timelines to see results and impact within three to five years. Though these monitoring and evaluation goals are important, the bigger question is: How long does it take a person at the bottom of the pyramid to adapt to changes, let alone to new technologies? From my experience working with the CKW project, I have observed that despite the potentially positive impact of any project, rural communities have a lot of social, cultural, political and historical baggage that tends to slow down the pace of adoption. Consequently, visible impact may not be realized in a short time. Community attitude is one of the biggest challenges associated with slow adoption of technologies. A number of people at the bottom of the pyramid feel marginalised and think that there is nothing much that they can do to change their living conditions. On the other hand, such people feel that physical handouts are what will help them, which is not sustainable. As a result, most of these people seem to have settled for their status quo. 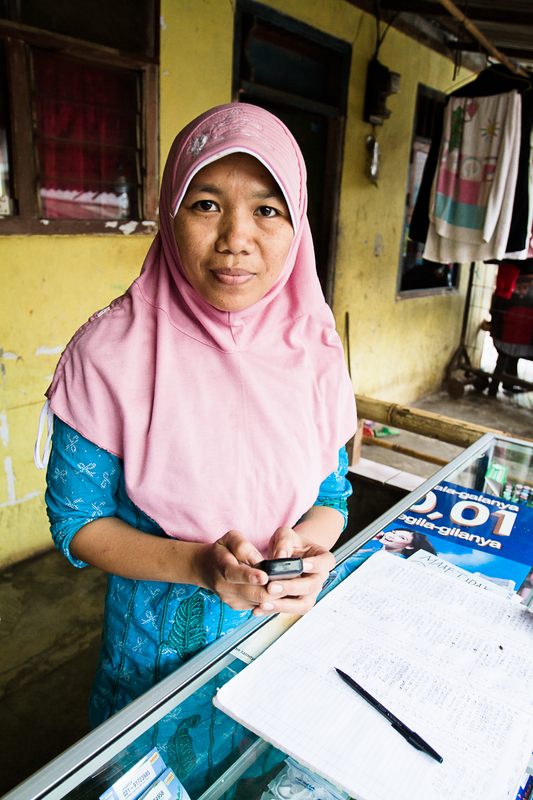 Can trust and reciprocity within social networks play a role in rural financial systems? Julius Matovu is the Research and Program Coordinator for Grameen Foundation’s AppLab Money Incubator. Let me introduce two interesting petty traders based in Owino market – the busiest market in downtown Kampala. They are Akim, a secondhand-shoes trader, and Patrick, a secondhand-clothes dealer. Last weekend I visited this market for a variety of reasons – including buying some “new” secondhand clothes to revamp my wardrobe. As I wandered through the market I came across these two different petty traders; because each of these individuals had something that I may need at some point, I had a good entry point for an in-depth interaction with each of them, to understand what they do. During my interactions, I observed a huge business potential based on the high number of people who visit Owino market every day. I also realized that for someone to tap into this opportunity, they must have sufficient capital. Most petty traders do not have adequate capital and can not turn to formal financial institutions because they do not meet current requirements to access credit. However, my newfound friends have found a solution to this problem. They have developed a network of people who run similar businesses within Owino, and rely on people in these networks to extend quick credit to each other in times of deficits. 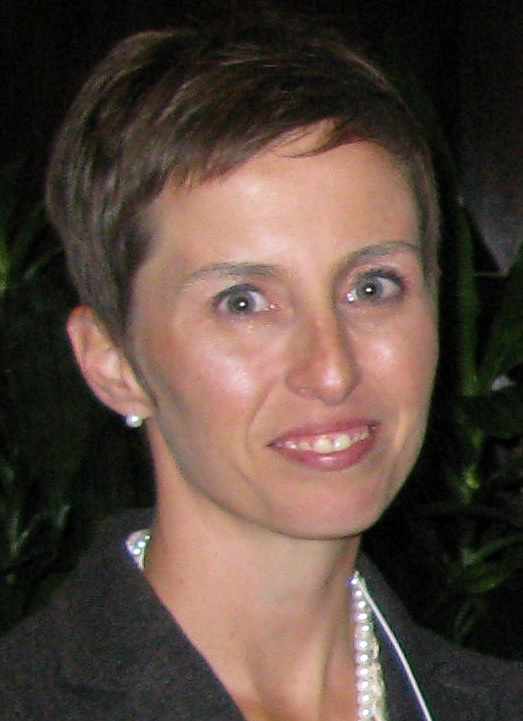 Shannon Maynard is the Director of Grameen Foundation’s skilled volunteer program, Bankers without Borders®. Maynard has more than 15 years of experience in nonprofit management and volunteer mobilization. Before joining Grameen Foundation, she served as Executive Director of the President’s Council on Service and Civic Participation, and managed strategic initiatives for federal agency the Corporation for National and Community Service. One of the books that has been on my reading list for a while but I haven’t gotten to yet is The Coming Jobs War, by Gallup CEO Jim Clifton. As a busy working mom, I’ve read reviews and excerpts, and have promised myself to read the entire book by the end of the summer. I do know that the premise of the book, which is based on the findings of Gallup’s World Poll, is that what people in the world want most is a good job. Here in the United States that typically translates to a formal job and steady paycheck. In the developing world that includes informal jobs, but the message is the same – people want steady, reliable pay in return for a hard day’s work. Clifton argues that over the course of the next 30 years, economic force will trump political and military force in terms of determining which countries have power and influence and which do not. The top U.S. cabinet position will be the Secretary of Job Creation – not the Secretary of State or Defense. Shannon Maynard, Director, Grameen Foundation's Bankers without Borders volunteer initiative. Ali Ndiwalana is Research Lead for Grameen Foundation’s AppLab Money Incubator. Below is an excerpt from our AppLab blog, followed by a link to the full post. Agents are critical for the success of a mobile money (MM) ecosystem; they provide an avenue for cash-in (converting cash into “e-value”) and cash-out transactions. Grameen Foundation’s AppLab Money team has been to many rural villages in our quest to better understand the needs of users, and have often encountered mobile money users, but no agents in the vicinity. When users told us they made regular transactions, we asked how they managed to do this. In many cases, it was via unofficial agents or “last-mile agents,” as we refer to them. So we started looking out for last-mile agents. We did not have to wait long. Our next research assignment took us to Luweero, to interview individual users and learn more about their financial flows and sources of income. As luck would have it, we encountered two registered mobile money users who were also operating as last-mile agents – providing mobile money services to people in their village as a side business. The first individual – for privacy’s sake, let’s call him John – was serving a community of unregistered users by sending and receiving money using his mobile money account. The bulk of his customers were villagers receiving money sent by relatives working far away. Because his customers dealt in low-value transactions, he made a profit by aggregating multiple small transactions into one large transaction, while charging for each separately. For example, if three villagers received money via his MM account and he had no cash on hand to clear them, he would aggregate all their money and just make one single withdrawal from his MM account. Read the full blog post at the AppLab Blog. Chris Smith and Gillian Evans are a husband and wife team volunteering in Uganda with Grameen Foundation through our Bankers without Borders® volunteer initiative. As Strategy Manager, Chris is responsible for business planning and Grameen Foundation’s relationship with MTN Uganda. Gillian is an Education Specialist, responsible for developing and applying training best practices in the field and helping build the training center of excellence in Uganda. Chris and Gillian live in Kampala with their two children and will complete their one-year volunteer term on July 31. You can read about their experience as a family living and working for Grameen Foundation in Uganda on their blog at www.smithsinuganda.com. As part of its Mobile Agriculture initiative, which leverages the power of the mobile phone to help fight “information poverty” among poor, rural farmers, Grameen Foundation has deployed more than 800 Community Knowledge Workers (CKWs) across Uganda in 20 districts, serving almost 62,000 farmers. Our CKWs use simple Huawei IDEOS smart phones that cost about $80 and run the Android software platform. This is a cost-effective and easy-to-use solution to get agriculture tips, market prices, weather forecasts and lots of other information to poor farmers deep in rural villages. A problem we encountered early in the development and deployment of the program was the lack of reliable electricity in those rural villages to charge the smartphones. When we launched the CKW program two years ago, we gave car batteries to the CKWs as a means of charging their phones – but this worked out about as well as you might imagine. We then found a partner in a San Francisco based startup called Fenix, which was designing and building solar-charging solutions for use by the rural poor. We’ve developed an excellent relationship with the Fenix team over the last year, and we are deploying the Fenix ReadySet solar-charging solution to all of our CKWs. 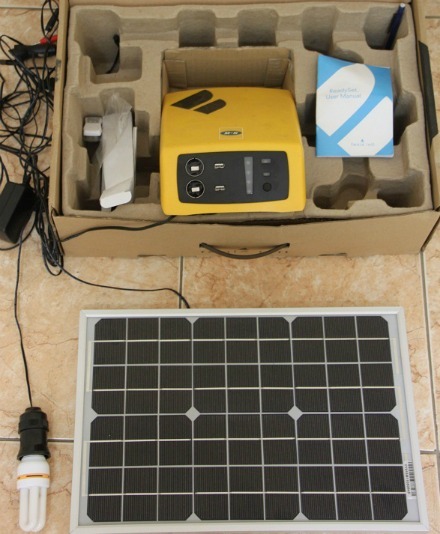 The Fenix ReadySet allows our CKWs to charge their phones using a solar panel. The ReadySet is very easy to use and provides an additional income stream to the CKW, on top of enabling them to do their job delivering information to farmers and conducting surveys. With the ReadySet, the CKW can now build a side business by charging their neighbors and friends a small amount of money to recharge their phones, to run a haircutting service with electric hair clippers or enable a multitude of other micro-business opportunities that need reliable electricity. It also helps the CKWs personally, because now they can run a light bulb in their house, to enable their kids to read and do homework after the sun sets, to ensure greater security, and to reduce the use of kerosene and other fuels they typically burn for light. Watch this video to see CKW Annette talk about how she is using the ReadySet to help her deliver information to farmers, recharge her neighbors’ mobile phones, and create a better and more secure home life for her family. Two years ago today, a massive earthquake devastated Haiti. Some 250,000 people perished among a population of about 9 million. Not only did this disaster kill a greater proportion of a nation’s population than any other in history, but it toppled thousands of homes and buildings, destroyed cultural treasures such as the national cathedral and killed dozens of U.N. workers, including the commander of the mission. A chaotic relief effort and weeks of nonstop media attention followed. When reporters return to Haiti on this anniversary, expect hand-wringing about bungled aid efforts juxtaposed with heart-warming tales of grassroots groups working effectively, though on a tiny scale. But those storylines tell only part of the story. It’s important to remember that 2009 was actually one of Haiti’s best years in decades. Law and order, even in the worst slums, had become the rule rather than the exception. Major infrastructure projects were nearing completion. Despite his flaws, President Rene Preval allowed a vibrant free press. Since then, positive trends have quietly continued. Travel times to the central plateau have been cut substantially. A massive teaching hospital – a joint venture between Zanmi Lasante and the government – is nearing completion. The cholera epidemic could have been much worse. A new president emerged from a credible if messy democratic process, and is popular at home and abroad. Though much post-disaster aid was used unproductively, some of it effectively built up Haitian institutions that predated the earthquake. One of the most exciting of these local organizations is the country’s leading microfinance institution, Fonkoze (Creole for “shoulder-to-shoulder foundation”). 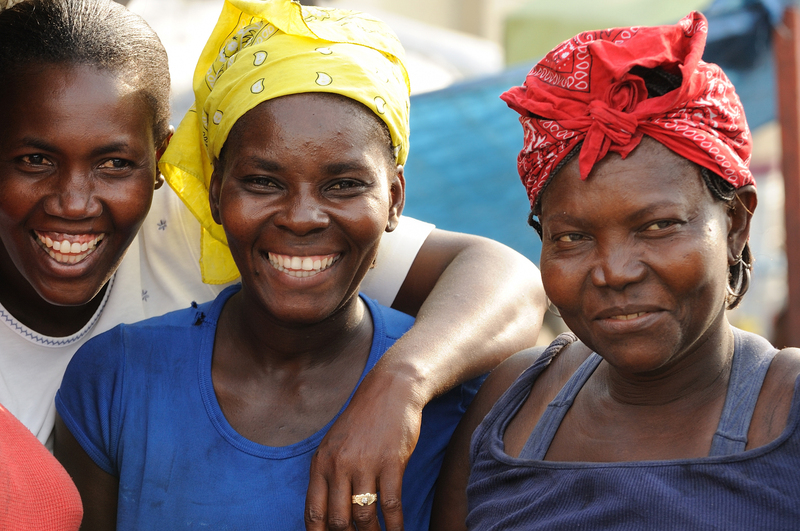 Fonkoze borrowers like the women above join "solidarity groups" that enable them to support each other. Did this organization collapse under the weight of the quake and its aftershocks? Far from it. In fact, today it is probably stronger than at any time in its history. Fonkoze did not stand idly by in the hours after the temblor. When funds began to run dry, a daring airlift of $2 million in cash from Fonkoze’s bank in Miami to 10 locations throughout Haiti – accomplished with the support of the U.S. military and the Multilateral Investment Fund – succeeded in record time and without the loss of a single dollar. Fonkoze went on to pay out $95 million in remittances during 2010, earning a tiny commission on each transaction. A few enlightened donors saw the potential of leveraging Fonkoze’s human and physical infrastructure and relationships with tens of thousands of small business owners (mostly women). Initially it was proposed that the entrepreneurs pre-earthquake loans be forgiven and new ones dispersed, in an effort to quickly jumpstart the rural economy. Fonkoze’s management had a slightly different idea – one that the American Red Cross, Whole Planet Foundation, Fonkoze USA and others agreed to support. The plan? All loan clients would be treated as if they had taken out a catastrophic insurance policy that was weeks away from being launched when the earthquake hit. This would not only get the clients fresh capital quickly, but it would also teach them to benefits of buying insurance. Nearly 20,000 micro-businesses were recapitalized in a matter of a few months. As the international community considers its next steps in supporting Haiti, or in responding to other disasters, I hope that the transition from the “search, rescue, shelter and feed” phase to one focused on strengthening local institutions will be faster. Defaulting to doing business with “Beltway bandits” must stop. Organizations like Zanmi Lasante and Fonkoze, which have “sandals on the ground” long before a disaster strikes, can be powerful and cost-effective engines of reconstruction and innovation.